Good morning faith filled friends! God is so good; He loves the world. Today, I wanted to share with you some positive stories from Operation God is Love (OGL). OGL started out as just prayer ministry in my city. Me and a few other ladies simply started walking through a dark area of the city to pray. We walked and prayed. On a few occasions we would run into people who were homeless, hungry, and in need. We would stop for them and offer prayer. This evolved from just walking and praying to ministering to the homeless on the street. Over years of pounding the pavement we have seen God transform the area and many people’s lives. A Spirit filled church moved in with a Dream Center. Some immoral businesses closed. New businesses moved into the neighborhood. The area was renovated. It is still being transformed. We know we were not and are not the only ones who sowed in prayer. I do thank God for seeing answers to our prayers. God is faithful! What if every believer used their God given authority to see areas transformed? What if we drove through areas and prayed? What if we used the authority of Jesus to see solutions and not problems? What if we pursued being the change we wish to see in the world? I believe 2.2 billion professing believers can see worldwide revival. Revival moves us beyond going to church to being the church! You and I can cry out for God to change the world or we can ask God to change the world through us. Are you willing to release revival instead of cry out for God to send revival? I truly believe we are called to release who we carry. We do not have a little light. We have the Light of the world and He is glorious. Greater is He who is in us than in the entire world! I would love to hear your dreams with God to see the world transformed! Leave me a comment below. Check out our city service initiative at OperationGodisLove.org. Listen to testimonies of God’s great love and power here Operation God is Love Testimonies. You may also read testimonies of our healing testimonies from the free clinic on the OGL website from your computer (the blog is not on mobile view yet). There is a missions blog with info on our global missions and testimonies. The lame walk, the crippled are healed, and so much more! …you are no longer foreigners and strangers, but fellow citizens with God’s people and also members of his household, built on the foundation of the apostles and prophets, with Christ Jesus himself as the chief cornerstone. In him the whole building is joined together and rises to become a holy temple in the Lord. And in him you too are being built together to become a dwelling in which God lives by his Spirit,~Ephesians 2:19-22. God invites us into relationship with Him. It is a covenant relationship. His connection with us is Spirit to spirit. 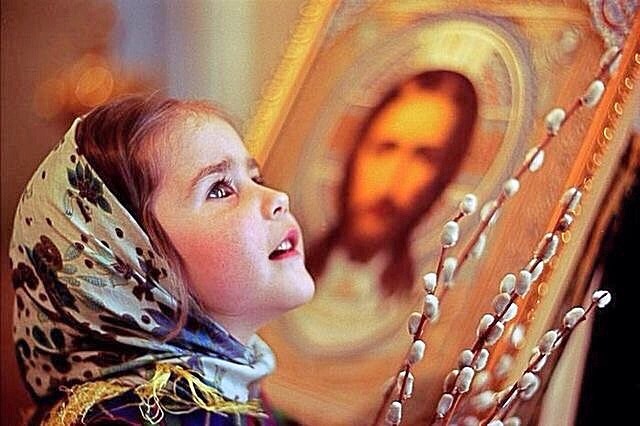 He imparts Himself to us in the Person of the Holy Spirit. It’s not simply a visitation with God on Sunday mornings. It’s intended to be a habitation. 1. The act of inhabiting or the state of being inhabited. 2. A natural environment or locality. God abides in born again believers. The purpose of habitation is not simply to get us into heaven. It’s so we are transformed into the image of His Son, Jesus. The Holy Spirit resides in us and continually points to truth, righteousness, and reveals Jesus. Day by day, moment by moment, He’s revealing the Son and we (if we are submitted to God) are being transformed into His likeness. This is a powerful work of the Holy Spirit. We cannot strive to be like God. Our attempts will fail. 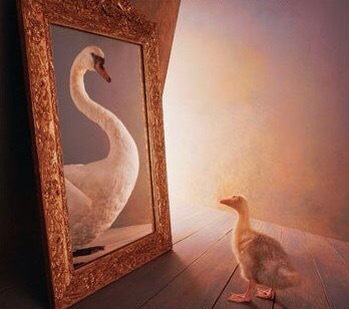 Our outward expressions will always manifest our internal reality. Just as an apple tree continues to produce apples. You can chop off the fruit, but it will continue to produce fruit. We are called to have the fruit of God’s Spirit and be His image bearers in the earth. It brings Him glory when we act like Him, that is the truest form of who we are. Genesis 1 states in His image God created them. We were created by Him, in His image, to represent Him. How do we become like Jesus? 1. It starts with relationship (see previous post Intimacy with God Part II). If you’re not saved, you will not become like Jesus because the Holy Spirit is not in you. Human efforts are futile. I will talk more about abiding in the next post. Submission sounds horrible when we are self willed and do not understand how much God loves us. Submission is beautiful when you realize the One you are saying yes to has your best interests at heart. God wants the best for us. So when He says, “Don’t go there. Don’t do this. This is a bad idea. You should go this way,” it’s because He can see all things and knows that the penalty for doing things sinful is death. We do not become like Jesus by being rebellious, stubborn, disobedient, and living life our own way. Jesus was obedient even to the cross. What if He decided He was not going to do the Father’s will? You and I would be in a bad place as He’s the atoning sacrifice for our sins. Lastly, God didn’t just save us so we could ride off into the sunset just as broken and messed up as He found us. He saved us out of love. He restores broken things and makes them brand new. 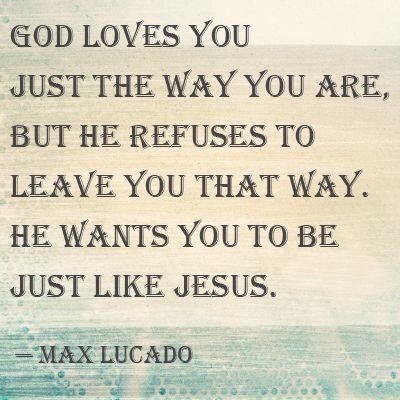 He loves us as we are, yet out of that great love-never intends to leave us the way He found us. No parent would want their adult child wearing diapers. He loves us as is, yet the Holy Spirit works in us to grow us up in love, truth, maturity, and wisdom. Our response to that great love is submission. We are transformed into our true identity. As we become like Him in character, we become the greatest blessing to the world. We are salt and light. We reflect Him and bring His beautiful fragrance to the world. We will not impact the world by acting like the world. Our lives are meant to be beacons of light! We reflect the nature, character, and goodness of God. We represent Him and heaven. 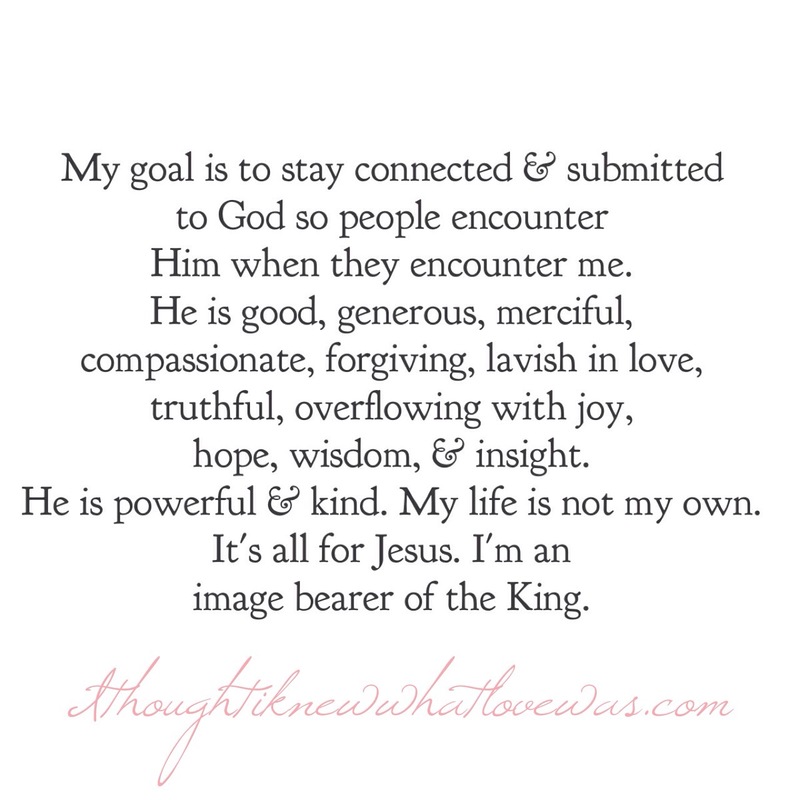 I want to stay connected to God and submitted to Him so when people encounter me, they encounter Him. I desire the pure essence of Jesus to be manifest in my life, for His glory. 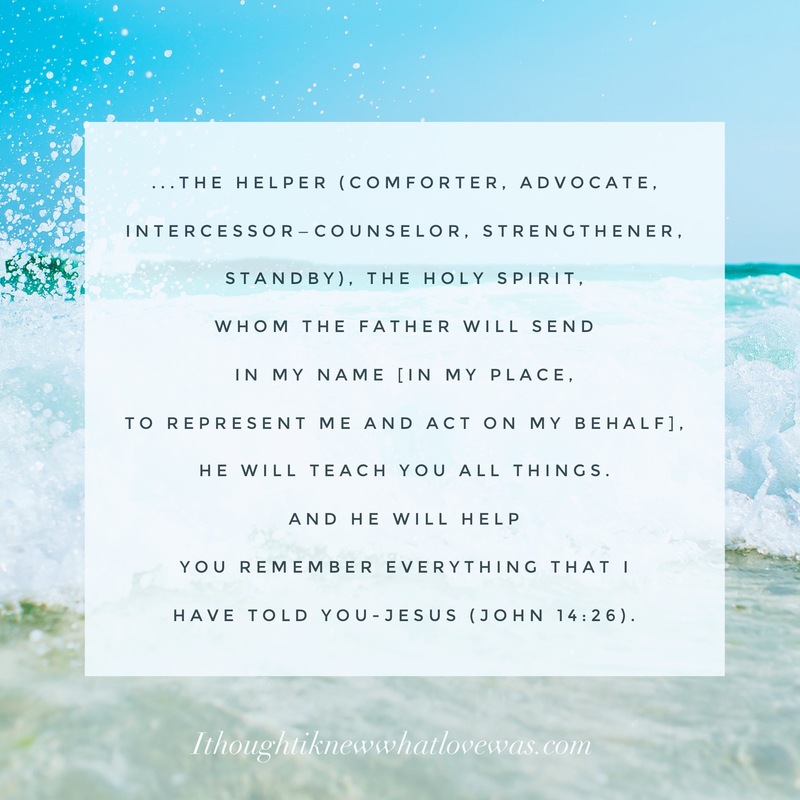 Will you join me on this quest to know Him intimately? Praying you are overwhelmed by His goodness, grace, love, and mercy! You are deeply loved.